We keep a well stocked pantry. With careful meal planning our family could eat for a good long while on the pantry contents. It provides us with food security, saves us money, reduces our fuel bill and is incredibly convenient. There is always something to eat at our place. 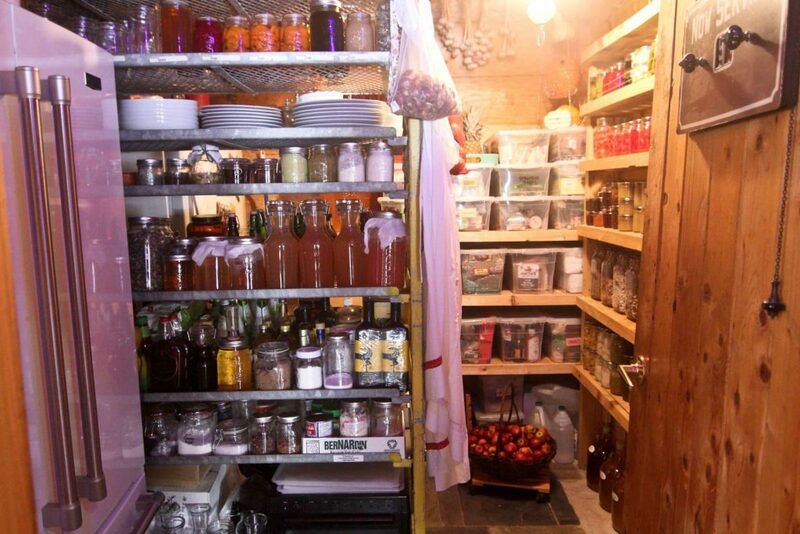 Although our pantry is unique in that we grow a lot of food and we preserve it, we didn’t always have this option for stocking up on food. 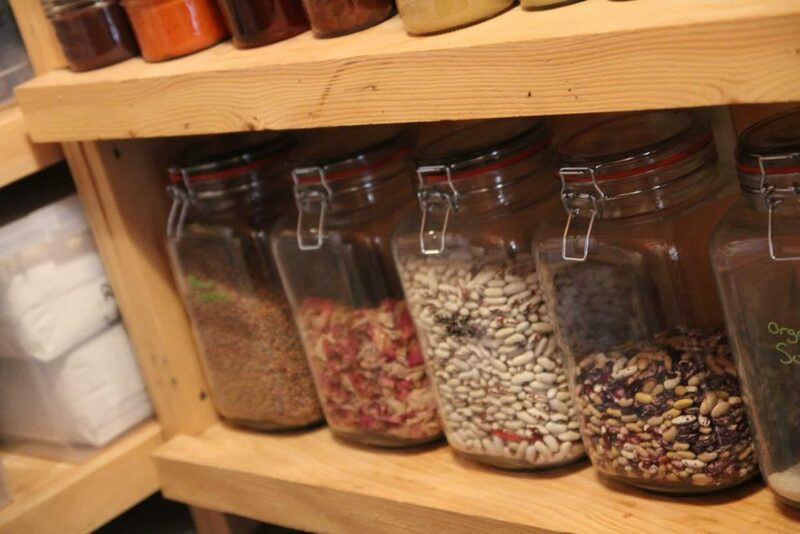 We are experienced with stocking the pantry exclusively from store bought food and even with a big garden we still purchase quite a lot of food, mainly dry goods such as flour, sugar, lentils, beans and baking supplies. Over the years I have learned a few tricks that thought I would share with you. My husband/editor suggested I explain why my approach might merit more interest than the opinion of “some goofball off the street”, as he put it. I spent over a decade managing the purchasing and logistics for a privately owned communications Company. We were small, passionate and limber. We were working on multiple major projects, stretching resources to the max as standard operating procedure. Researching product options and negotiating prices was a really big part of my role. Something as small as a 2% discount was a big win when you were responsible for million dollar purchase orders. My role has changed, I am now a homesteader but I still look at all of our purchases this same way. I plan, research, dig for deals and think outside of the box . Why not ask for a discount before making that on-line purchase? I will tell you a secret. I almost always get a little something knocked off the price when I ask. I really do believe that keeping a well-stocked pantry is like money in the bank. The cost of food continues to increase. It goes up, we get used to it then it goes up again or taxes go up …you know what I mean. The end result is we pay more and get less. By learning some tricks and looking at groceries in a different way you can outsmart this system. It was not so long ago that families needed to be far more mindful of their money and often kept ledgers and budgets for their household. Treating your household expenses a bit like a business can really make a difference. Keep receipts and start tracking what you are spending on groceries and individual items. This gives you the opportunity to put together a yearly, monthly or weekly budget. You can then take that information and figure out ways to reduce your spending or come up with a plan for building your pantry or simply adjust your shopping habits a little bit. When looking at your spending you might also want to include the fuel and time invested in making these small shopping trips. Here is an article that my husband wrote called: Analyzing Expenses, Cost Per Day Budgeting. It takes quite a bit of money and effort to stock a pantry. Build your master list and chip away at fulfilling it in whatever ways work best for you. We used to set aside money each month until we had enough for a “really big” grocery shop. We have used the space under the stairs, the utility room, laundry room and all of these spaces worked just fine. In this house we are lucky to have an 8x10FT room dedicated to food. The refrigerator and freezer are also housed here so when you add shelves there isn’t a lot of floor space. To make the best use of the room we have floor to ceiling shelves, a sturdy mobile shelf in the center of the room (a greenhouse cart we found on kijiji) and we hang food like onions and garlic from the rafters. The small window in this room is covered to keep the sunlight out and we do our best to keep the room cool as it also acts as our “cold storage” until we have a better solution. Before buying a 50 pound bag of something, make sure you are happy with the product. I have been on a quest for the perfect organic flour for our bread baking. We have a local flour mill and I love supporting local but try as I might I have been unable to make good bread with that flour. Fortunately I only bought small bags. Buy multiples when there are sales. Often my shopping cart will have three or ten of a certain item. When my eyes catch other peoples shopping carts (yeah call me a snoop!) I observe that they are loaded with single item packages that they intend to stick in the fridge, freezer and cupboards and then they buy it again next week. My cart might have 20 packs of mushrooms that I found on clearance for 99 cents. I might have 20 cans of condensed milk, 10 butter, 4 bags of raisins and big sacks of oats. Stocking up on big sale items really pays off. I am not necessarily talking about Costco here (they fall under grocery store to me). Think bigger. If you can find a wholesaler or manufacturer or farmer willing to sell directly to you this can be a great avenue to pursue. If you or a friend has a business you can often work your way in a little more easily. 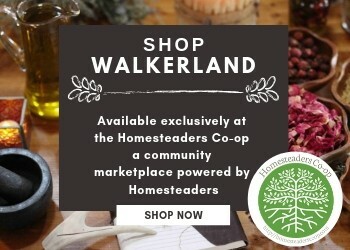 By having a wholesale list, you can help your family and close friends as well by inviting them to join in on the order. You are often buying by the case load so it can help if you are doing a group share for that purchase, you can split the cases between the group so you all get more variety. This works well when buying beef, lamb or other meat directly from a farmer. Purchase a whole cow, save big and support a local farmer. You should always appoint one main point of contact who makes arrangements with the farmer and collects everyone’s payment. I often spend time evaluating the above options when I am looking for something in bulk. How do I get the best price? Sometimes many small bags ends up being cheaper than one large one. It’s not often the case but sometimes “bulk” is not the best deal. I usually start a list for items we need and record the price through various sources. I email companies for pricing, get shipping quotes and then look at what my local options are as well. When you consider time, gas, and other aspects it makes it easier to see which is the best option. 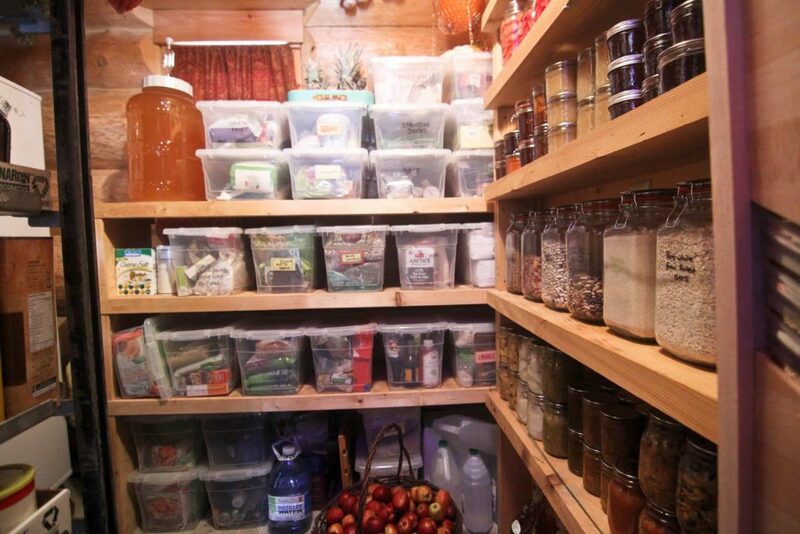 Consider streamlining your pantry contents. Packaged or premixed goods with their fancy packaging are generally simple to make from scratch. If you stock up on the basics like: flour, baking powder, sugar, beans, lentils etc. it saves you a lot of money and you don’t have to worry about the preservatives and other bad ingredients that are included in things like pancake mix or pre-made baked beans. It tastes better too! Always eat the older jars and cans first. Using and replacing food on a regular basis ensures that nothing expires. 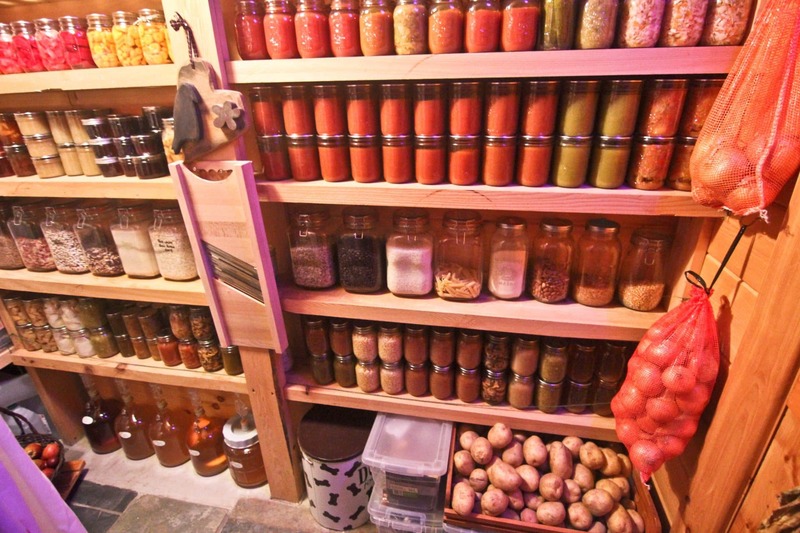 When properly stored some food can last for 30 years or more! You will need suitable airtight storage containers along with oxygen absorber packets. There is some understanding and care that needs to be taken when storing food long term. Read up and do your homework. This is an unpleasant topic but pest control is really essential when storing a lot of food. A mouse party one night in the pantry can cause some serious heartache. We take precautions by keeping an orderly pantry. 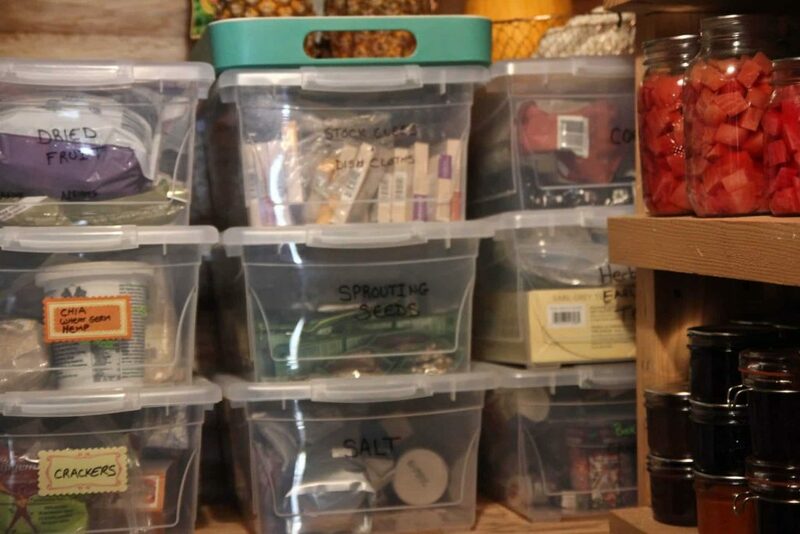 We stock dry goods in glass canisters that we refill from large clear plastic storage bins and in these bins items are sealed in packaging as well. The canisters and bins are easy to wipe down and reduce the food odors that attract unwanted house guests. Here are some ideas for essential pantry items based on things that we stock and use often. A person could eat really well from recipes made from ingredients on this list! I haven’t included shorter term items that we buy and keep in the refrigerator such as dairy etc. 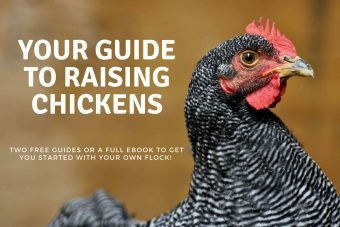 If you found this information helpful you might also like to read Eat Like a Pioneer Challenge: Lessons and Insights and How to Eat Healthy on a Budget. You’ll find additional tips, tricks insights and inspiration for building a healthy, affordable food pantry. We are well stocked up here, but my cold room looks nothing like yours! You’ve inspired me to get some better organization going in there. Do you have a list of some of the best places you have found to buy bulk? I live in Alaska with a very short growing season and not very many options for shopping. Thank you for all of the great info and pictures! 2. Cold call various wheat/flour mills and bulk food suppliers and get a quote for having an order shipped to you. You can then figure out if the bulk price is cheaper than what you would pay locally for smaller packages. Perhaps other people will join in on a group purchase if the price is right. 3. Find out who the suppliers and the transporters are that ship to your nearest stores. Perhaps you can work a deal with them. I have in past managed to talk transporters into giving us a really good deal on shipping if we are able to wait until they have a truck load going out. I had a situation where the big supplier didn’t do small (small to them) orders but they gave me some names of companies that would. 4. I have also had other people shop for me and then ship the items up on the bus. It can be quite time consuming to chase down and evaluate your options, it can take a lot of planning and coordination to get all the pieces to fit together but if there is enough interest between friends and family, group purchases can give you more leverage with supplies and make the project easier. I will certainly think about this some more and if I learn of any companies to suggest I will let you know! Thank you for the thorough lists! Azure standard of dufur oregon is wholesale and often organic and will deliver for a 400.00 order. I used to buy with my daughter and mother. It was great stuff. Thank you. What an inspiration! I would add some hard candy. ? Become friends with your local school food services manager. You may be able to order cases of fruits & vegetables at wholesale prices by tagging onto their regular order. Wonderful suggestion Cathy! That makes perfect sense. The school could even benefit if the wholesale discounts improve as they spend more! Thank you for your post. Working on my storage room also. Great ideas. All great ideas! I love your pantry! I have always bought the lost leaders. A few summers ago I couponed for Red Gold tomatoes and for every 10 cans they were free plus 14 cents off my other purchases. I scored 360 cans. Donated 300 cans and used 60 for us. It was all kinds of caned tomatoes like green chilies and tomatoes or basil, garlic and tomatoes. It was fun using them to make up dishes. I hardly pay for toothpaste, deodorant, floss, shampoo, soap, hot sauce, tea, and many others. It’s a kick to play the game of how much free stuff can I get this week. That is so great! I am truly impressed with your keen savings skills!